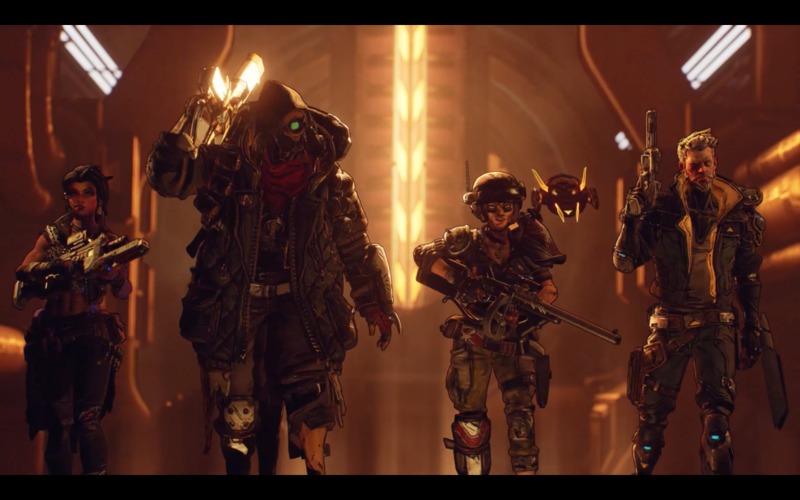 Apex Legends latest patch introduced fan requested armor for two characters, a new bonus XP event, and tweaked a bunch of the weapons to make them a more viable choice for combat. The patch has already gone live so players are free to experiment with all the latest changes. 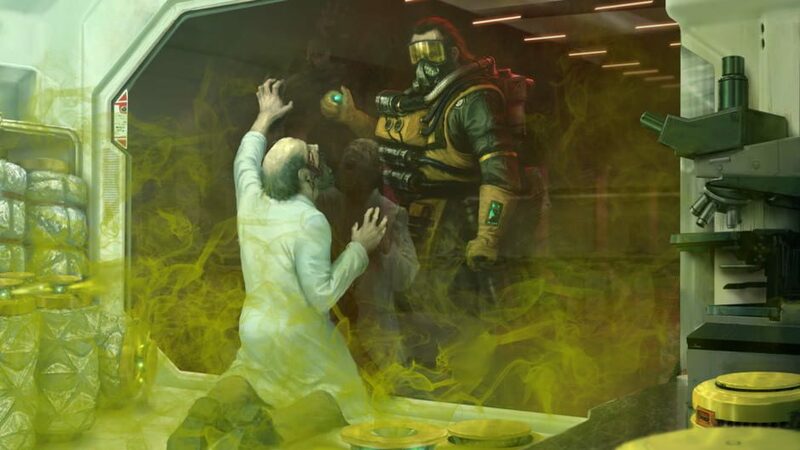 According to the patch notes that have been posted on the Apex Legends Subreddit, the biggest changes have been introduced to both Caustic and Gibraltar. According to the community manager behind the game, Jay Frechette, these two characters as well as Pathfinder were taking more damage than other heroes because of their increased hitboxes. Readjusting them worked for Pathfinder, but Caustic and Gibraltar were still at a noticeable disadvantage. To compensate for this, the team added a 10% armor bonus passive ability to the two characters, which is known as Fortified. They also received a variety of other tweaks to make them more competitive in the meta. 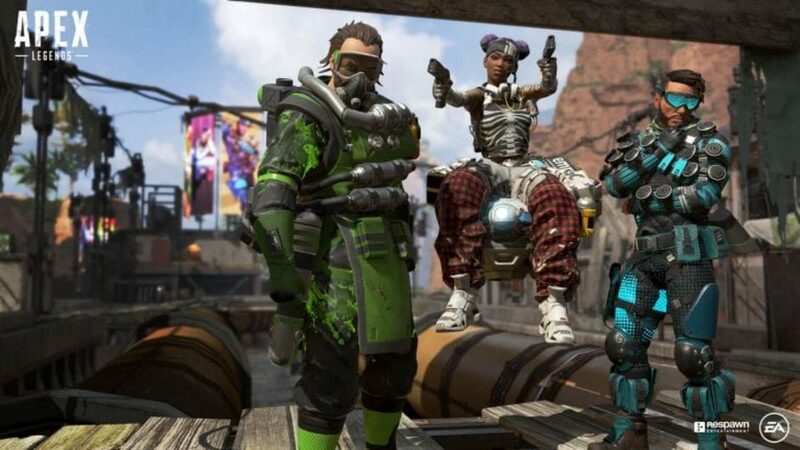 Apex Legends Update: "But Wait, There's More!" On top of those changes, Respawn added a way for players to earn more XP for their Battle Pass. Fans will notice that their first top 5 of the day will net them a whole Battle Pass tier, which can be taken advantage of every day until the bonus XP event is over. Other changes include weapon buffs for the Longbow DMR and the Havoc as well as nerfs for the G7 Scout, Wingman, and Spitfire. Respawn Entertainment has also increased the speed of the jump ship. In other Apex news, Project Lead Drew McCoy recently said that there is no plan to bring the game to the Switch, but commented that it isn't out of the realm of possibility. For all the latest on Apex Legends, be sure to keep checking back with us here at GigamaxGames.com! 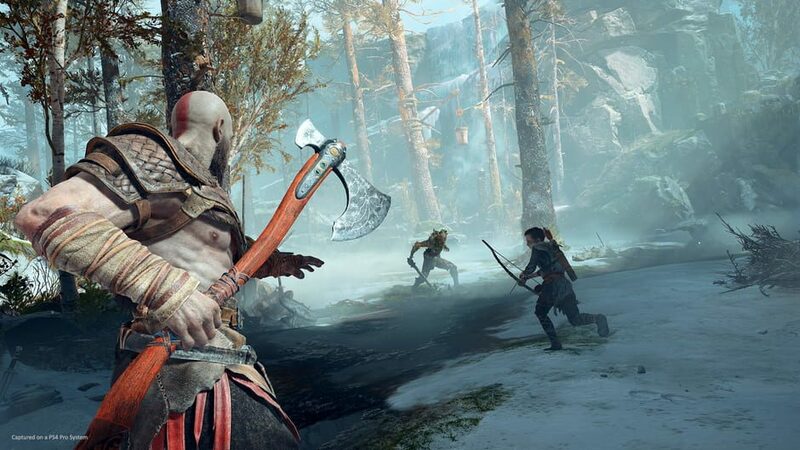 God of War was one of the biggest critical and economical video game success stories from last year. 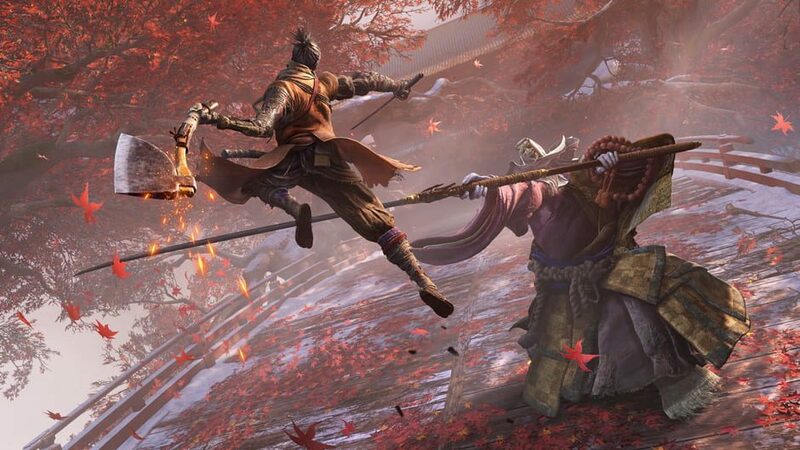 Sony has no plans for an expansion to last year's Game of the Year title. Cory Barlog, Director for God of War, confirmed this today on Twitter. What's Next for God of War? "There is no DLC coming for the game. Sorry," said Barlog on Twitter. This was in response to a separate tweet that seemingly teased a new God of War announcement. Barlog wanted to clear up any confusion and confirm that this message was referencing the game's anniversary celebration. It has already been confirmed that fans will receive a free PS4 theme and avatar set, and Barlog teased that even more was on the way. But this announcement won't be related to God of War DLC. Barlog spoke earlier this year to Kinda Funny and said that he was interested in making a DLC, but he was told it was too ambitious and the idea was ultimately scrapped. It was allegedly going to be similar to the huge story expansions that both Last of Us and Uncharted 4 received, which warranted their own stand-alone expansions. 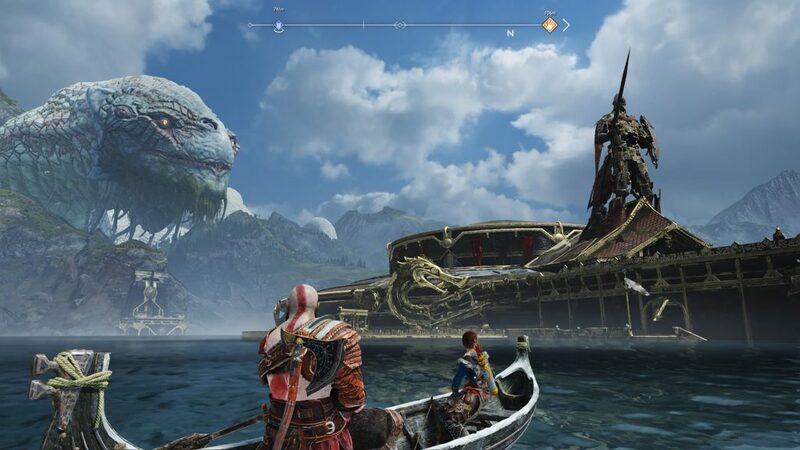 "It would [have] ended up being its own thing," Barlog said of the God of War expansion we'll never see. "Rightfully so, everybody said, 'Dude, this is crazy, this isn't DLC, this is a little too big." The future of God of War is still out of focus. It's not clear what the developers have planned to keep God of War alive. However, the Gigamax Games crew will be keeping a close eye on any announcements. 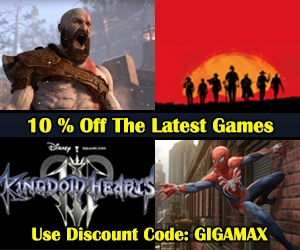 Be sure to visit GigamaxGames.com again soon for the latest gaming news! 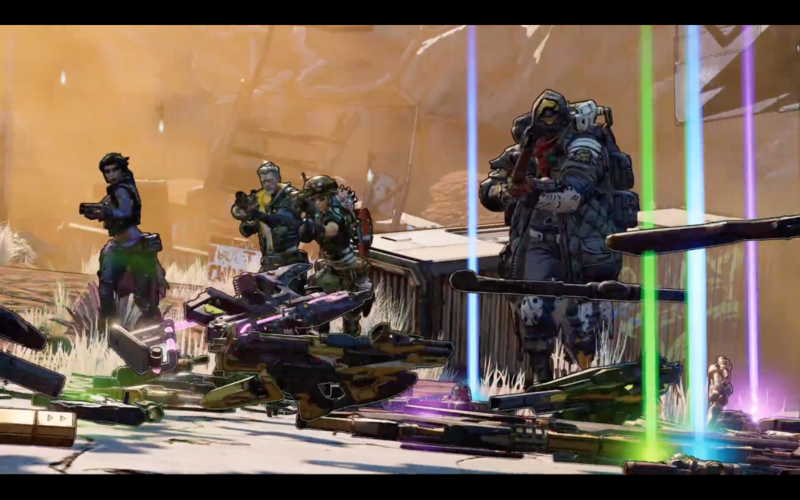 After many weeks of teasing a new title that fans suspected was Borderlands 3, Gearbox finally took the time to reveal the game and drop a gameplay trailer at PAX East yesterday (3/28/19). Those that have played any of the previous Borderlands titles will recognize many familiar elements from throughout the series. A team of four vault hunters, "1 billion" guns, big mechs and vehicles, Claptrap, and his vast array of stylish dance moves, the series' iconic cel-shaded graphics, and huge levels that give players a sandbox to roam around and shoot baddies. Plenty of classic characters also popped up throughout the trailer including: Brick, Lilith, Maya, Mordecai, Ellie, Marcus, Tiny Tina, and plenty of others. It did not take long but fans are already discussing what the new vault hunters abilities using hints from the trailer. There's a muscle-bound female character that appears to be a siren. She is seen spawning six ethereal arms and later in the trailer a giant arm has an enemy trapped in a bubble. A small female hunter is seen standing in front of a mech that she can apparently summon. Later in the trailer, she is driving a giant motorized tire and shooting its variety of guns. A soldier-like male hunter is seen using a device that creates a holographic version of himself. Finally, there's a robotic hunter in a cape that can allegedly command pets such as a skag and spiderant. The trailer also revealed a variety of different worlds that players will be exploring including the familiar desert, green and watery swamplands, and a slick future city. Also included in the trailer were a numerous amount of enemy types and beautiful (and we mean so so beautiful) showers of green, blue, and purple loot. Unfortunately, Gearbox was not ready to announce a release date today, but they promised more information on April 3rd, the same day Borderlands: Game of the Year edition comes out. We'll be sure to have all the latest updates on Borderlands 3 so be sure to keep checking back with us here at GigamaxGames.com! After a recently aired special episode of Persona 5: The Animation titled "Stars and Ours," the developer behind the critically acclaimed RPG series, Atlus, revealed some more information about the mysterious game, Persona 5R. The trailer below shows the title of the game is Persona 5 The Royal. While Atlus didn't provide any further details on what the game is, they teased that more information will be coming April 24 during a live concert event called, Persona Super Live 2019. 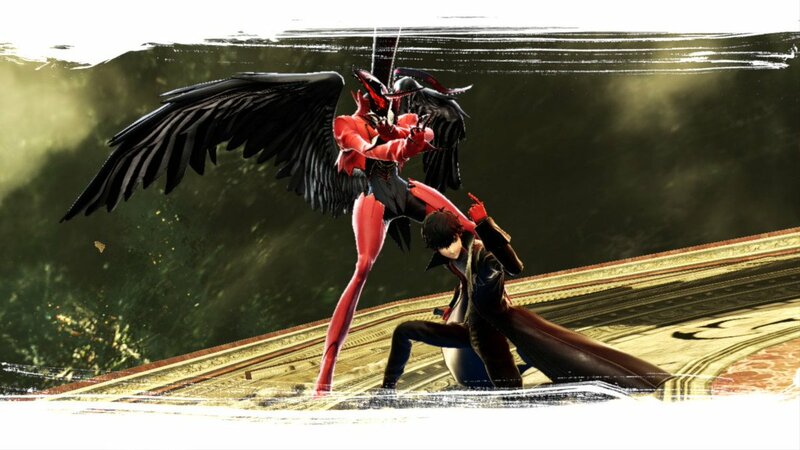 Many suspect, due to the nature of previous Persona games and the trailer, that this title will be a Game of the Year edition that contains additional content. The trailer for Persona 5 The Royal focuses on a new character who studies at the games high school, Shujin Academy, where most of the main characters also attend. In the trailer she is asked about her opinion on the Phantom Thieves, the vigilante group your player controls throughout the course of the game. She then points out that she does not exactly approve of their methods on crime fighting. It's very possible that this new character will be the focus of the additional content. Atlus typically throws some new content into its re-released games, as fans have seen with their launches of Persona 3 FES and Persona 4 Golden. Many are guessing that this content will include a new palace and storyline. We'll be sure to keep our eye on any updates regarding this title so for more Persona 5 The Royal news keep checking back with us here at GigamaxGames.com! 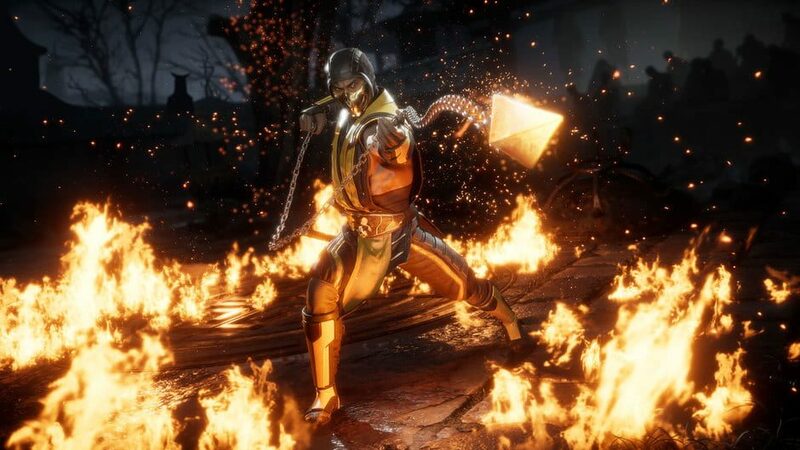 NetherRealm shared some details on its upcoming beta for Mortal Kombat 11, giving fans a look at what they can expect from the trial. The beta will begin on Wednesday, March 27 at 8 AM PT, and run through Sunday, March 31 at 11:59 PM PT. It will be open to anyone who pre-ordered a copy of the game on PS4 or Xbox One. The beta will include five playable characters including Baraka, Jade, Kabal, Scarlet, and Scorpion. This is just a small look at the massive roster the game is set to have, which has still not been fully revealed. The most recent character NetherRealm revealed is the emperor of the underworld himself, Kotal Kahn. The beta will include both online multiplayer matches and the single player Towers of Time mode. It will also have an early preview of the character customization system that lets players choose various cosmetic items for their individual fighters including their skins, gear, special abilities, taunts, brutalities, and intro/victory cinematics. Only players with PS Plus or Xbox Live Gold can play online, but anyone can play the Towers of Time mode offline. Pre ordering the latest title nets players access to the beta and Shao Kahn as a playable character at launch. Shao Kahn is a bonus across all platforms including Nintendo Switch and PC, although the beta is exclusive to PS4 and Xbox One. Nintendo, a company that has become increasingly transparent with fans over the past couple years, recently offered an inside look into its Japanese workforce. Spotted by industry analyst Daniel Ahmad, the Nintendo of Japan recruitment page delivers some interesting statistics about their employees including average age, salary, length of employment, and more. 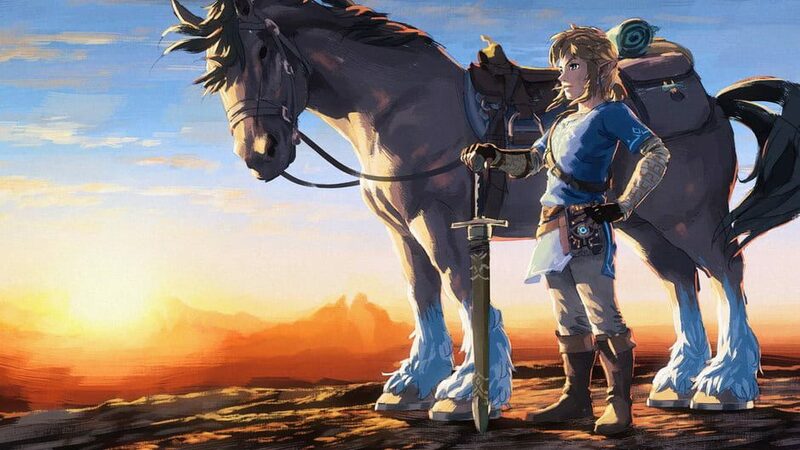 Nintendo of Japan employs more than 2,000 people, and the average age of the staff is 38.6. The typical employee of Nintendo makes $80,000 per year, and has worked for the company an average of 13.5 years. Another interesting statistic is that a typical work day for an Nintendo employee is 7 hours and 45 minutes. 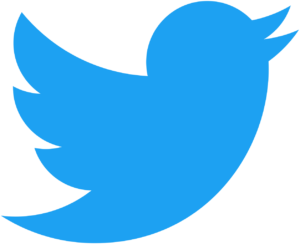 As mentioned above, this information only relates to Nintendo of Japan. The famous company behind Mario, Zelda, and Metroid has subsidiaries around the world including Nintendo of America and Nintendo of Europe. 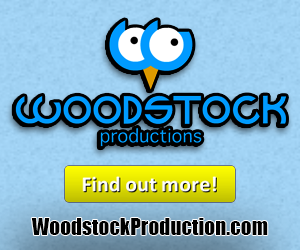 It's always interesting to get an inside look at the inner workings of a company, especially for those that are interested in a career working for a major video game developer. Although, it is important to remember that these numbers are simply averages and of course there will be some outliers. 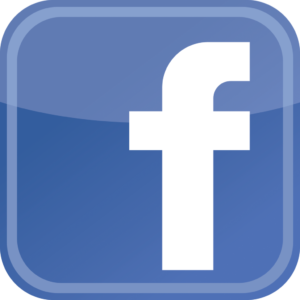 For more news relating to the corporate side of the video game industry, be sure to keep checking back with us here at GigamaxGames.com. GameStop made the official announcement that it will not try selling itself to another company. The video game retailer had no further details on its future, but investors certainly noticed and GameStop's stock plummeted not long after making the big reveal. "GameStop's Board has now terminated efforts to pursue a sale of the company due to the lack of available financing on terms that would be commercially acceptable to a prospective acquirer," the company said in a blog post. Unfortunately for GameStop, the announcement caused investment stock in the company to rapidly fall, with the value dropping by more than 25% to $11.21 at the time of this writing. The company began looking for a potential buyer in June of 2018. GameStop entered talks with a private equity firm and even hired a financial advisor. Although, the company never said that a buyout would be the ultimate outcome. They previously stated that all options were being considered when it came to saving the company from financial hardship. 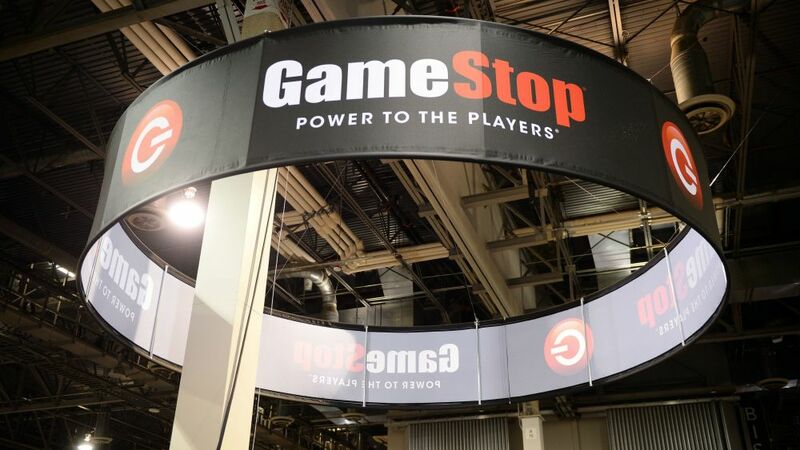 In a recent report by Variety, Wedbush Securities analyst Michael Pachter said that GameStop's decision could be because they were unable to find an investor due to a decline in physical game sales and new competition. "A new console without a disc drive--unlikely, but possible--could kill [GameStop's] business," Pachter explained. "And all this talk of Amazon, Apple, and Google [streaming games] causes some to question whether there will be consoles at all." The company that once built an empire on used game sales and physical releases of new titles is feeling the shift toward a digital \-based model for video game sales. E-stores are how a majority of gamers make their purchases and GameStop has been unable to keep up. 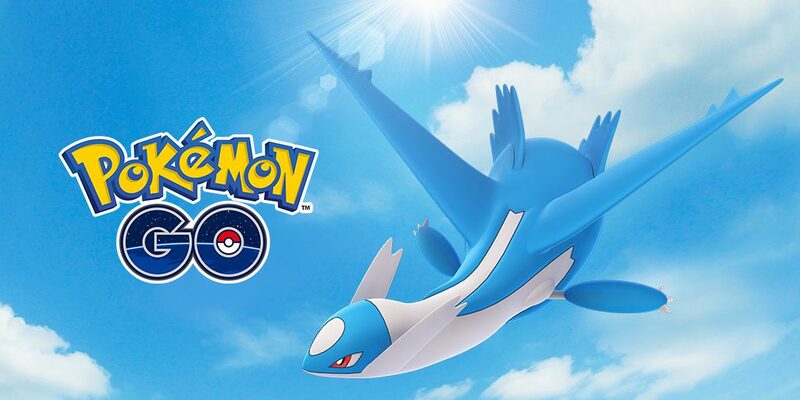 We'll be sure to keep an eye on any updates regarding this story so be sure to keep checking back with us here at GigamaxGames.com. Dragon Ball FighterZ is about to get another round of DLC characters, adding to the already impressive roster the game contains. The first of these characters will be Jiren, The Pride Trooper, with 4 other characters following him throughout the year. This was revealed at the Dragon Ball FighterZ World Tour Finals, where Bandai Namco announced the Season 2 Fighter Pass. The trailer revealed that Jiren would be available this week, January 31st. 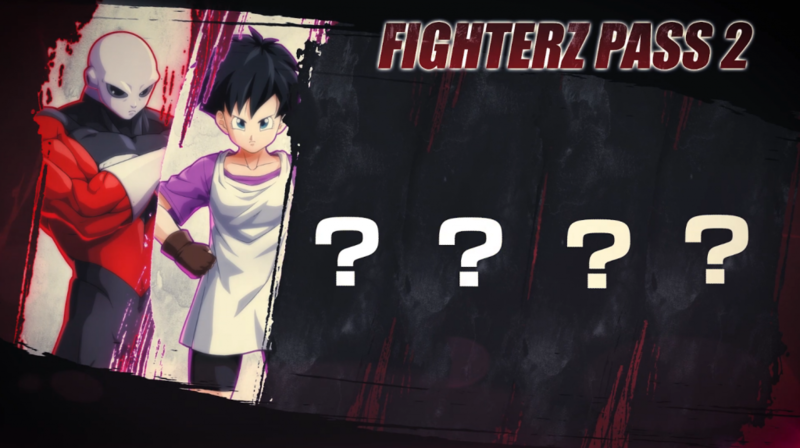 On top of that it was announced that Videl would be arriving alongside Jiren. It appears as though Videl can summon Gohan in his Great Saiyaman garb to help with combo attacks, kind of like how Android 18 and 17 work currently. At the end of the trailer, Bandai Namco revealed two more characters that will eventually join the title: Super Saiyan Blue Gogeta and Broly from the recently released Dragon Ball Super: Broly movie. 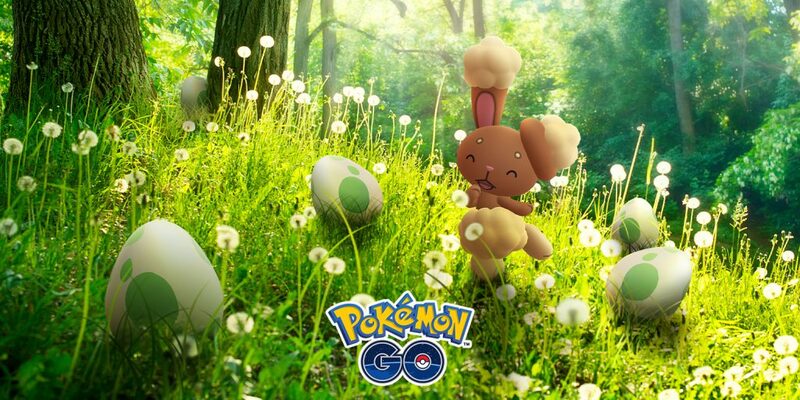 Although no footage was shown, the developer said the characters are coming soon. Details on the price have yet to be revealed by Bandai Namco, but the previous Season Pass cost $35 and added 8 characters to the game including Broly, Bardock, Vegito, Fused Zamasu, base Goku, base Vegeta, Cooler, and Android 17. Each of these characters are also available for $5 individually. We'll be sure to keep a close eye on the upcoming characters so be sure to check back with us here at GigamaxGames.com.